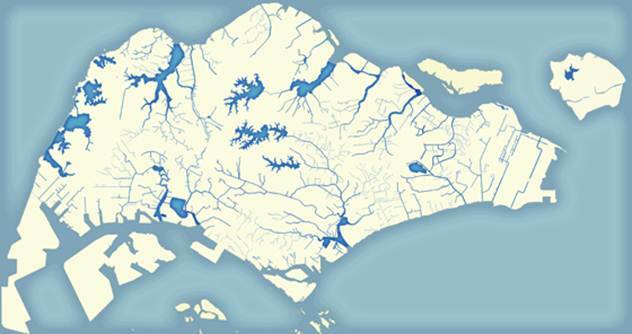 As a small island that doesn’t have natural aquifers and lakes and with little land to collect rainwater, Singapore needs to maximize whatever it can harvest. Currently, Singapore uses two separate systems to collect rainwater and used water. 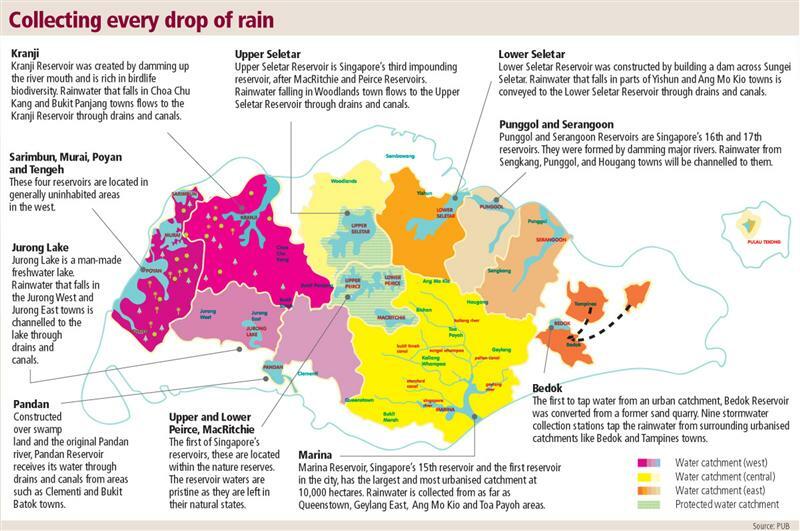 Rainwater is collected through a comprehensive network of drains, canals, rivers and stormwater collection ponds before it is channelled to Singapore’s 17 reservoirs for storage. This makes Singapore one of the few countries in the world to harvest urban stormwater on a large scale for its water supply. The newest reservoirs are Punggol and Serangoon Reservoirs which are our 16th and 17th reservoirs. By 2011, the water catchment area has increased from half to two-thirds of Singapore’s land surface with the completion of the Marina, Punggol and Serangoon reservoirs.